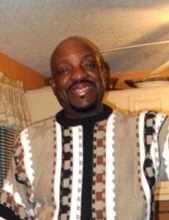 Jimmy Ray Holloway, affectionately known as “Nae,” was born January 13, 1952, to the late Jessie and Everlena Holloway in Ellendale, Tennessee. He was the eighth sibling born of thirteen children from this union. At an early age, he accepted Christ as his savior at Fullview Baptist Church. He later joined Breath of Life Christian Center under Pastor Sammie Holloway and later joined Christian Unity Baptist under the leadership of Pastor William Edwards where he remained a faithful member serving on the Usher Board. Jimmy warmed the hearts of other as a loving brother, uncle, son, cousin and friend. He preceded in death by his father Jessie Holloway, his mother, Everlena Holloway, his brothers Albert Holloway and Jessie Holloway, Jr. and his sister Larcenia Shaw. Jimmy leaves to cherish his precious memories six brothers Leroy (Ola) Holloway, Alfred (Earnestine) Holloway, James (Gwendolyn) Holloway, Willie Holloway, Michael (Anita) Holloway and Gerald Holloway and three sisters, Evelyn Hayes and Velma (Tommy) Hayes, Valerie (John) Dobbins and a very special Goddaughter Robin Craven. Jimmy attended Shadowlawn School and graduated from Bartlett High School. He retired from the City of Memphis in 2012 after 23 years of dedicated service. To send flowers or a remembrance gift to the family of Jimmy Ray Holloway, please visit our Tribute Store. "Email Address" would like to share the life celebration of Jimmy Ray Holloway. Click on the "link" to go to share a favorite memory or leave a condolence message for the family.